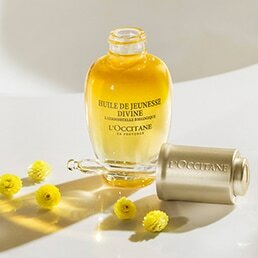 Now with a unique concentration of Immortelle essential oil, Divine Youth Face Oil, our luscious products glide on smoothly, releasing exceptional anti-aging properties for visibly transformed skin. Bursting with vitality and newly energized, your skin is simply radiant. 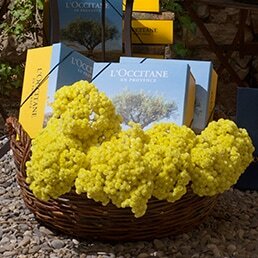 Now with a unique concentration of Immortelle essential oil, our luscious products glide on smoothly, releasing exceptional anti-aging properties for visibly transformed skin. Bursting with vitality and newly energized, your skin is simply radiant. 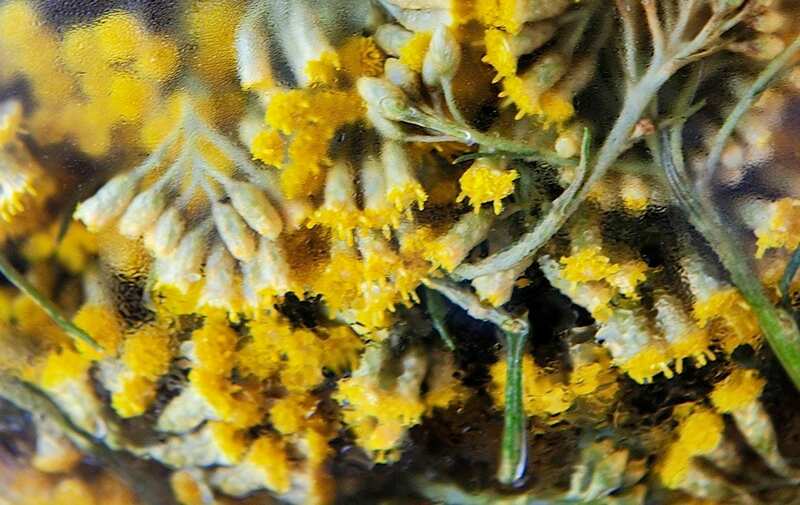 10% more Immortelle essential oil than before, this little bottle is packed with nutrients that leave skin looking more plumped and radiant. It melts deliciously into skin, improving the benefits of our daily anti-aging products(3). Day after day, your skin will see the difference - skin will appear more elastic, feeling firmer and better prepared to face external aggressions. Camelina oil : Intensively nourishes skin. Organic apricot oil : Nourishes skin (rich in vitamins A & E). Essential oil of geranium from Egypt : Skin anti-aging and tones tissues. Organic sea buckthorn oil : Protects from external agressions (rich in vitamin E) and strengthens the epidermis (rich in pro vitamin A).